This set of 2 antiqued bronze clover rosettes make great decorative accents on doors and furniture. Our Mexican bronze hardware is hand crafted in Mexico. 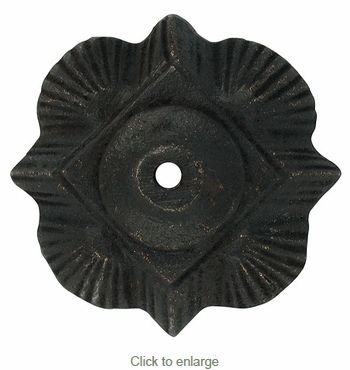 Each rosette comes with a 4.5" bronze-head nail. Expect some variations in size and patina finish.